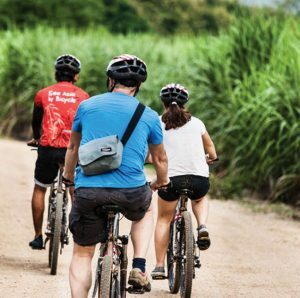 With a diverse array of landscapes, unique local cultures, tropical climate and a multitude of natural wonders, Souteast Asia is the perfect place to venture out on two wheels and explore the world around you. Whether you’re a serious cyclist, interested in competition, or a sporty pedal pusher looking for some holiday fun, let our range of rewarding destinations get you into gear. Panorama Destination cycling tours are a great way to get a different perspective on the landscapes, villages and monuments throughout the countryside and cities.